The Hungry Generation (Bengali: হাংরি জেনারেশান) was a literary movement in the Bengali language launched by what is known today as the Hungryalist quartet, i.e. Shakti Chattopadhyay, Malay Roy Choudhury, Samir Roychoudhury and Debi Roy (alias Haradhon Dhara), during the 1960s in Kolkata, India. Due to their involvement in this avant garde cultural movement, the leaders lost their jobs and were jailed by the incumbent government. They challenged contemporary ideas about literature and contributed significantly to the evolution of the language and idiom used by contemporaneous artists to express their feelings in literature and painting. 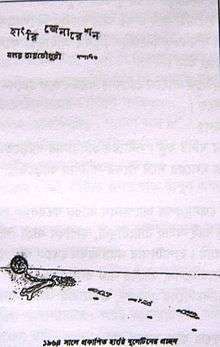 The approach of the Hungryalists was to confront and disturb the prospective readers' preconceived colonial canons. According to Pradip Choudhuri, a leading philosopher and poet of the generation, whose works have been extensively translated in French, their counter-discourse was the first voice of post-colonial freedom of pen and brush. Besides the famous four mentioned above, Utpal Kumar Basu, Binoy Majumdar, Sandipan Chattopadhyay, Basudeb Dasgupta, Falguni Roy, Subhash Ghosh, Tridib Mitra, Alo Mitra, Ramananda Chattopadhyay, Anil Karanjai, Saileswar Ghosh, Karunanidhan Mukhopadhyay, and Subo Acharya were among the other leading writers and artists of the movement. The origins of this movement stem from the educational establishments serving Chaucer and Spengler to the poor of India. The movement was officially launched however, in November 1961 from the residence of Malay Roy Choudhury and his brother Samir Roychoudhury in Patna. They took the word Hungry from Geoffrey Chaucer's line "In Sowre Hungry Tyme" and they drew upon, among others, Oswald Spengler's histriographical ideas about the non-centrality of cultural evolution and progression, for philosophical inspiration. The movement was to last from 1961 to 1965. It is wrong to suggest that the movement was influenced by the Beat Generation, since Ginsberg did not visit Malay until April 1963, when he came to Patna. Poets Octavio Paz and Ernesto Cardenal were to visit Malay later during the 1960s. The hungry generation has some of the same ideals as The Papelipolas and the Barranquilla Group, both from Colombia, and the Spanish Generation of 68. This movement is characterized by expression of closeness to nature and sometimes by tenets of Gandhianism and Proudhonianism. Although it originated at Patna, Bihar and was initially based in Kolkata, it had participants spread over North Bengal, Tripura and Benares. 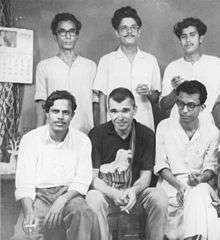 According to Dr. Shankar Bhattacharya, Dean at Assam University, as well as Aryanil Mukherjee, editor of Kaurab Literary Periodical, the movement influenced Allen Ginsberg as much as it influenced American poetry through the Beat poets who visited Calcutta, Patna and Benares during the 1960-1970s. Arvind Krishna Mehrotra, now a professor and editor, was associated with the Hungry generation movement. Shakti Chattopadhyay, Saileswar Ghosh, Subhas Ghosh left the movement in 1964. More than 100 manifestos were issued during 1961-1965. Malay's poems have been published by Prof P. Lal from his Writers Workshop publication. 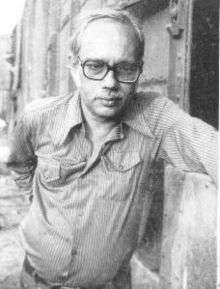 Howard McCord published Malay Roy Choudhury's controversial poem Prachanda Boidyutik Chhutar i.e., Stark Electric Jesus from Washington State University in 1965. The poem has been translated into several languages of the world. Into German by Carl Weissner,in Spanish by Margaret Randall, in Urdu by Ameeq Hanfee, in Assamese by Manik Dass, in Gujarati by Nalin Patel, in Hindi by Rajkamal Chaudhary, and in English by Howard McCord. There is a misconception that the Hungryalists and the Krittibas group were the same and that the Krittibas magazine was a Hungryalist platform. This is incorrect as the Krittibas was a group from the fifties. The Hungryalist movement was a sixties decade phenomenon. Krittibas magazine in its editorial had openly declared that they have no relations with the movement and that they do not approve of the philosophy of the movement. Wikimedia Commons has media related to Hungry generation.